Welcome to Dezhou Sunshine Metal Mesh Co., Ltd.
Dezhou Sunshine Metal Mesh Co., Ltd. is a professional company specializing in the production of wire decking products. The company is located in Dezhou, Shandong, which is close to a big northern Chinese port - Tianjin Port. So it enjoys the strategic location and convenient transportation. 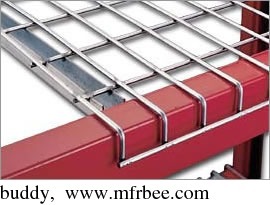 The mission of Dezhou Sunshine Metal Mesh Co., Ltd. is to provide high quality, low cost and effective security products including wire decking, wire decking display rack, wire rack , wire rack decking, welded wire decking and wire container, and so on. Our products is the consistency of engineering design, structure and composition, and is in accordance with national defense, national and industrial standards. All products are made from high-quality stainless steel parts. Most of our products are for export to Europe, the USA, Southeast Asia and other countries. Our company is an ISO certified enterprise. Our policy is "Bearing in mind that quality is the foundation of competition, and valuing excellent produce as the base of development". We have experienced and professional employees, state-of-the-art manufacturing technology, and complete quality control system. We make high quality wire mesh products with high quality raw materials. The materials and processes of our products follow strictly the international standard of the industry. West Industry Park, Dezhou, Shandong, China.